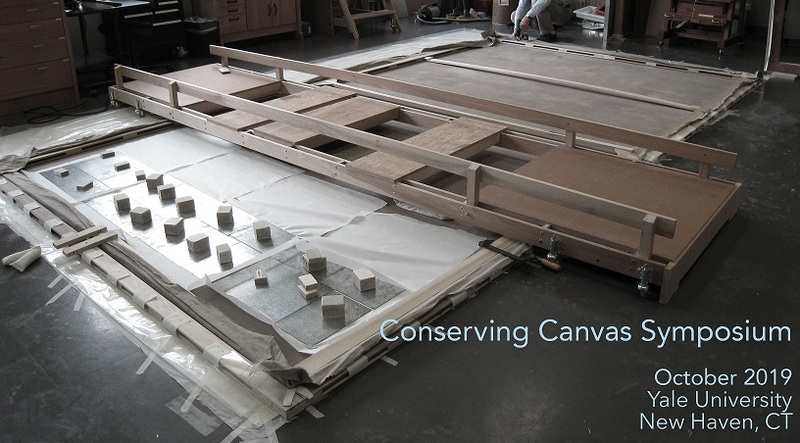 From October 14-October 17 2019, the Institute for the Preservation of Cultural Heritage at Yale University will host the Conserving Canvas Symposium for conservators, conservation scientists, and curators. This will be the first major international gathering on the subject since 1974. The symposium will address historical approaches to the structural treatment of canvas paintings; current methods, materials, and research; and the challenges facing the structural conservation of modern and contemporary works. With today's field embracing minimal-intervention techniques and maintaining differing opinions on the efficacy of more invasive approaches, the symposium will provide a long overdue forum to reevaluate historical and current practices as well as inform future directions for the conservation of canvas painting. The cost of registration is $125. If you need to cancel your registration prior to September 30, a refund will be issued, less a $25 cancellation fee. Any cancellations after September 30, a refund will not be granted. To view the symposium agenda please, click here. ​Lead support for this conference is provided by the Getty Foundation, as part of its Conserving Canvas Initiative. For questions about the content of the symposium, paper submissions, or scholarship applications please contact ipch.cc.symposium@gmail.com.